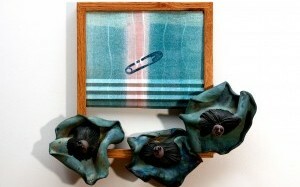 Clay on Main is pleased to present an exhibition of recent work by Liz Wheeler and Kim Christman. 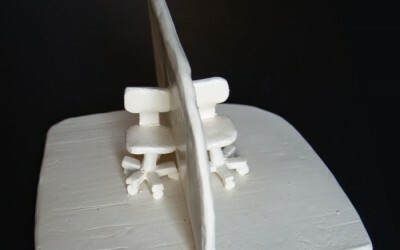 In Make Do, Christman and Wheeler delve into “women’s work”, and the challenges that are particular to women artists, using everyday objects that are subtly manipulated to reveal their inner dimensions, and ceramic sculptures that both refer to and push beyond the normal vocabulary of vessels and use. 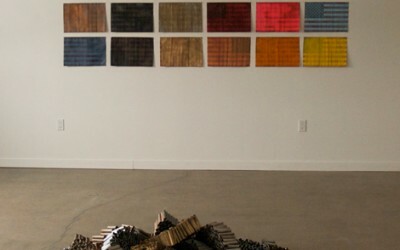 The installation work interacts with the specific place that is Clay on Main, a studio and gallery that welcomes women artists at all stages of life and artistic growth. The two artists are neighbors. They were drawn together as their children played outside; their shared commitment to visual art was a welcome surprise. Since then, the two women have developed artistic collaboration, exhibiting together and providing feedback and encouragement about their work. While they both derive inspiration from their experiences as women, balancing their roles as mothers with their individual artistic journeys, the artists use different media and approaches to artmaking. Christman’s installations convey a profound layer held in the everyday with a beguiling combination of boldness and vulnerability, while Wheeler’s stark ceramic pieces dive into the realm of language and metaphor while remaining tethered to narrative. Kim Christman, a Wisconsin native lived in New York city for eighteen years and now resides in the Lehigh Valley; she earned a BFA from Hunter College’s competitive fine arts program. Wheeler, originally from Connecticut studied ceramics at Bennington College and the Art Institute of Chicago, completing her education with a Master’s degree in the Philosophy, Interpretation and Culture program at Binghamton University in New York state. She currently teaches ceramics at Clay on Main in Oley and the Banana Factory and consults with Touchstone Theater in Bethlehem. The exhibition runs from Sunday January 10th to February 14th. The opening reception is Sunday January 10th from 4 to 6 PM. Snow date is Sunday January 17th. 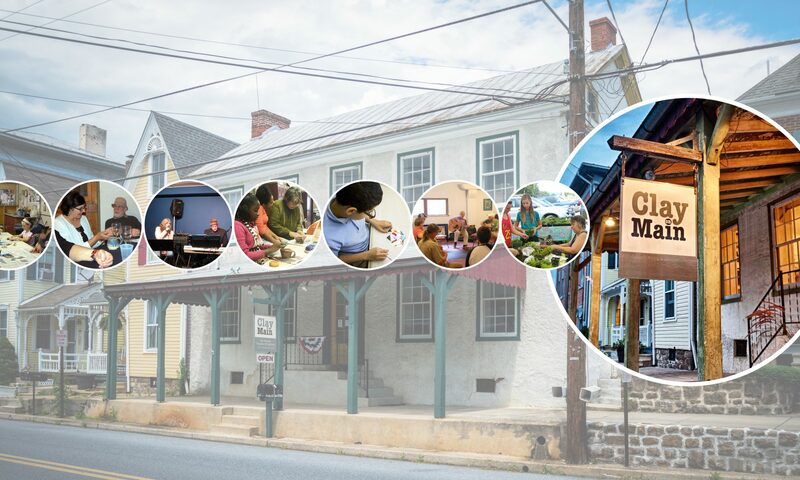 Clay on Main is a 501(c) (3) non-profit artists’ cooperative, located at 313 Main St in the historic village of Oley. 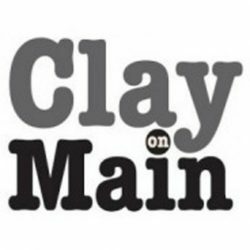 Clay on Main provides the community with quality art programs, exhibitions of local and visiting artists, and innovative workshops. Clay on Main houses a complete clay studio, an encaustic studio, and a photographic darkroom. The Gallery hours are 1 to 4 PM Sundays, or by appointment. 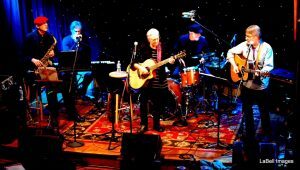 The studio can be contacted at 610-987-0273. 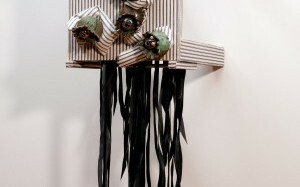 A detailed schedule of studio events can be found at www.clayonmain.org or on Facebook.